The decision to permanently render yourself sterile is an enormous consideration. It is not surprising that thousands of men each year ask their doctor about vasectomy reversal or suitable alternatives to this surgery. At Legacy Male Health near Dallas, men find the answers they need to make the most educated decision about their future fertility. Couples who wish to start or expand their family have multiple options, even if one partner is struggling with fertility. It is important that both partners participate in the assessment process. Vasectomy reversal can only do so much if female fertility issues exist. When the female partner is in good reproductive health, and can successfully carry out a pregnancy, the couple may consider the best option for conception. 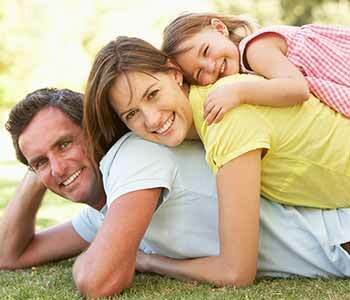 At Male Legacy Health, our goal is to help patients achieve their goal of having a biological family. Often, patients come to us because they do not find solutions like adoption or sperm donation suitable. Many men feel most excited about bringing a part of themselves into the world. This means that we must focus on how to obtain healthy sperm in the most cost-effective way. Aspiration of sperm from the vas deferens or the testicle may be one way to retrieve sperm. The procedure is performed with sedatives and local anesthetic, so it should not be uncomfortable. The aspiration technique is not suited to intrauterine insemination, in which sperm are directly inserted into the uterus. This means that in vitro fertilization (IVF) must be done. In vitro fertilization inserts a single motile sperm into an individual egg in a Petri Dish. Multiple eggs may be treated at a time. Fertilized eggs are inserted into the uterus after 3 to 5 days of incubation in the laboratory. The cost of sperm retrieval plus IVF is more than twice the cost of a vasectomy reversal. The complex issue of infertility can be addressed by consulting a physician with extensive experience in the vasectomy reversal procedure. 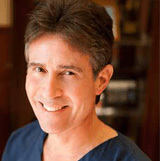 Dr. Buch has been performing vasectomy reversals since 1985. His wealth of experience is known throughout the global medical profession, and he receives national and international referrals. Before settling on any particular alternative, consult with a male fertility specialist with a proven record of accomplishment. Call Legacy Male Health at (972) 996-7177.